CSS Corp has won NASSCOM Digital Skills Award for 2017. CSS Corp’s Digital Career Progression Framework, “Reimagine”, was chosen for its unique and innovative approach to employee up-skilling and cross-skilling in new age digital technologies. 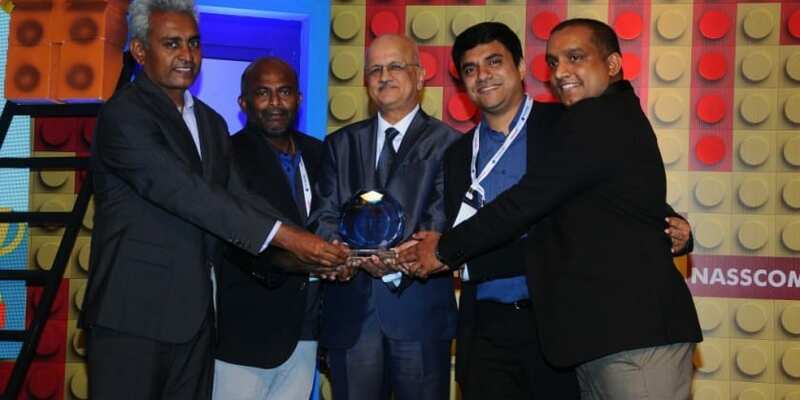 The award was presented at NASSCOM’s flagship HR Summit, which was held in Chennai on July 20th. The “Reimagine” framework has been specifically built to fast-track employee re-skilling initiatives within the organization, in niche digital technologies including Robotic Process Automation (RPA), AI, Analytics, Cloud, DevOps and IoT. Additionally, the framework enables collaborative learning and greater personalization through Virtual University, MOOCs, online portals and learning communities. Reimagine promotes democratization of learning and fosters a culture of innovation within the organization. The results of Reimagine have been encouraging so far. It and has brought in significant increases in critical business aspects, including resource utilization, team productivity, employee learning and development, and increase in revenue per employee. The framework has also created more career and growth opportunities, while resulting in an overall drop in attrition. CSS Corp’s Reimagine framework is synchronized with Digital Innovation Labs that provide employees access and ample opportunities to build customer engagement solutions like Yodaa, CSS Corp’s recent AI platform. The various training programs and certifications that are offered on the latest technologies enable employees to enhance their digital dexterity, to thrive in today’s disruptive marketplace. CSS Corp Grabs NASSCOM Digital Skills Award for 2017 0 out of 5 based on 0 ratings. 0 user reviews.